I spent the last couple of days working on installing my Wavetrac differential and wanted to post a bit of information on what I found. 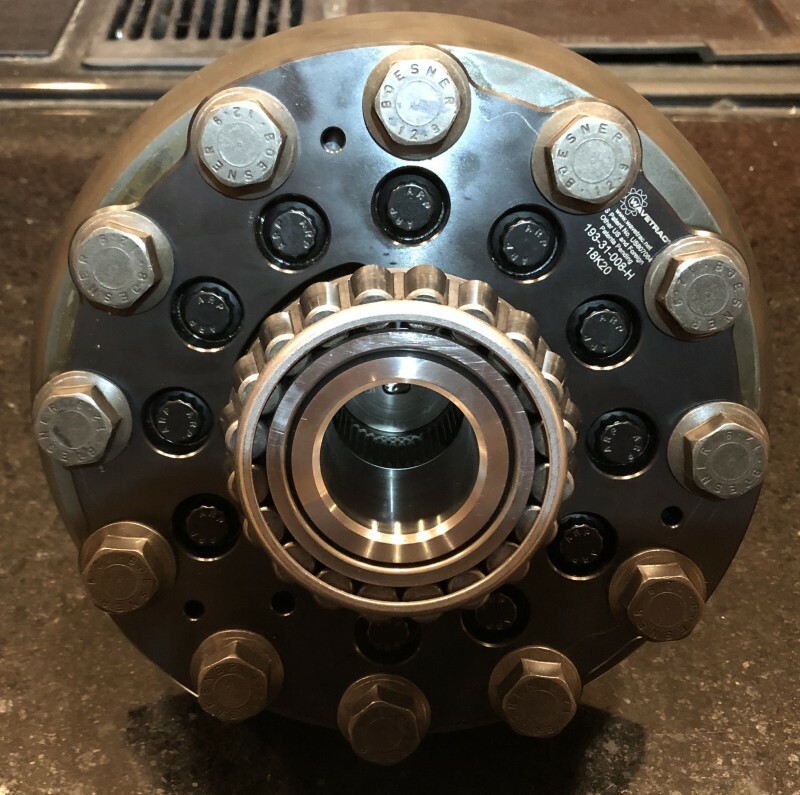 While we can debate the merits/deficiencies of the Wavetrac against a clutch type diff, this post is only intended to note installation findings. This is due to a lack of any real installation instructions available from Wavetrac, either in the packaging or through phone conversations. 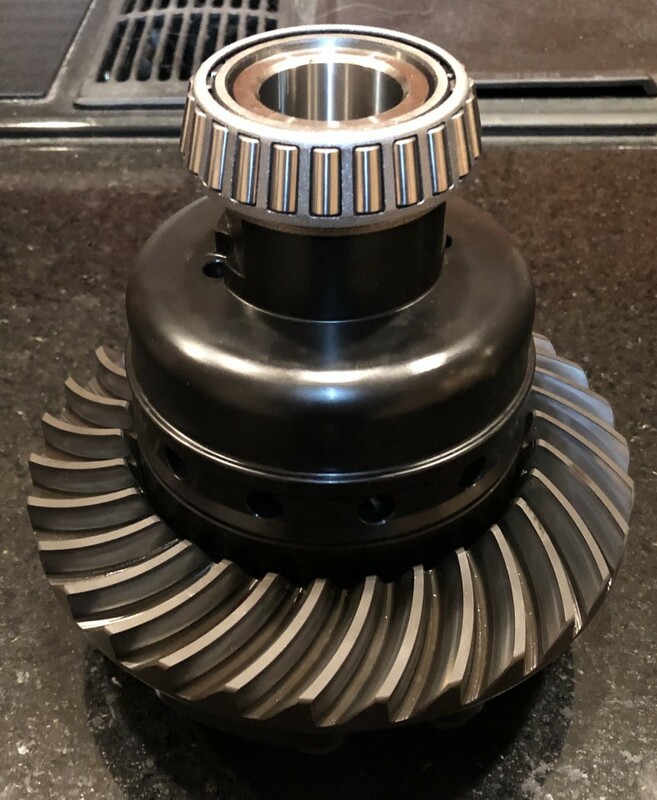 The package contained the differential and one shim and a disclosure recommending the use of the stock gear oil and a warning that using an incompatible oil would result in a warranty cancellation. Motul Gear 300 and Motul Gear Competition were the only non stock recommended oils. The intended use of the included shim is not noted anywhere and a phone conversation with tech support did not answer my questions. The stock diff had a shim between the bearings and the bearing faces on both sides. These shims were carefully noted from which side of the ring they came from to reuse on the Wavetrac in the same position. After removal of the stock diff, I wanted to determine the differences, if any, between the stock diff and the Wavetrac as far as critical dimensions. These dimensions are the distance from the bearing stop opposite the ring gear mounting face to the ring gear mounting face in addition to the distance from the ring gear mounting face to the bearing stop on the same side. Determining these dimensions with sufficient precision would be difficult without some high end tools. I have access to a precision granite measuring table and a Mitutoyo QM-Height 350 precision height measuring system that is repeatable and precise to 0.00001”. To measure the stock diff I placed the differential on the bearing face opposite the ring gear face on top of some precision machining blocks that were sitting on top of the granite table. Using the Mitutoyo, I then set as my zero datum the ring gear mounting face and then measured to the bearing face on the same side of the ring gear. Noting the final height measurement, I removed the stock diff from the machining blocks and placed the Wavetrac on the blocks and measured it. The Wavetrac differed from the stock diff datum by 0.001” and -0.07” from the ring mounting face to the bearing face on the same side. The one shim included in the package measured 0.07” and it was then clear it needed to be installed in addition to the original shim between the bearing face and the bearing on the same side as the ring gear mounting surface. Re-measuring with the shims placed accordingly show the same 0.001” datum difference with a 0.0002”difference from the ring gear mounting face to the bearing/shim face on the same side. Seeing that I decided it was precise enough to not change backlash and bearing preload enough to require additional shimming so I installed the bearings and differential into the transmission. After installation into the transmission, everything feels really good. The machine quality and finish of the Wavetrac is really good with my only complaint being the total lack of installation information. Last edited by P_Carfahrer; 01-30-2019 at 01:58 PM. 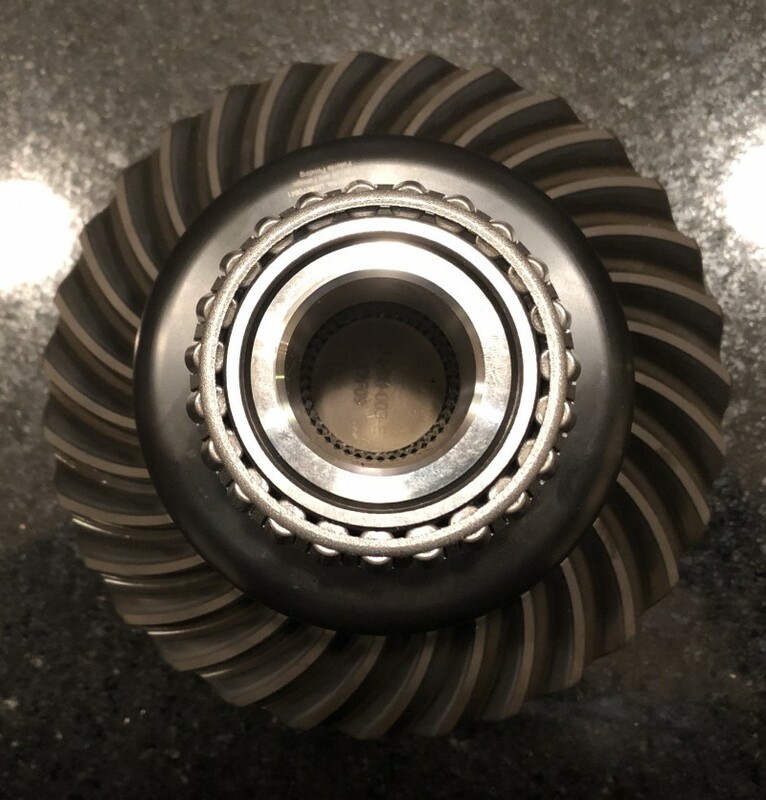 I would think that you should focus on the bearing preload, by meassuring the backlash between the pinion and the crown, otherwise you will risk wearing the pinion or crown if too much clearance ($$ at worse) or burning the bearing if you don't have enough clearance.. Please note that this is just IMHO, as I am not an expert by any means... however I am telling you this because I have previouslt ruined both... (non P cars)..
Last edited by Gilles; 01-30-2019 at 04:49 PM. My experience with ring and pinion gears is all non-Porsche, so FWIW, YMMV, etc. But all of my experience says setting that lash (and subsequently the preload) is the crucial element to the longevity of the gears, and the amount of howl you'll get from them. I know there's a technique with a dial indicator.... but I'm old-skool (and old) and I've always used chalk, or even a mist of colored paint, to identify the contact surface, and adjust accordingly. Lots of tutorials on this method online. There are two critical measurements: Pinion depth and back lash. Get either of these wrong and you will get anything from a howling gear set to a broken one. Side bearing preload is also important, but not as much as the other two. I have a Quaife ATB LSD that I need to have installed in my 997. Does anyone happen to know of a place within the GTA (Toronto, Canada) that has experience with this type of install? And can get the required shims? I have a good shop that works on my car, but for this work I am thinking that it would be better to have someone who specializes in this type of thing do the install.